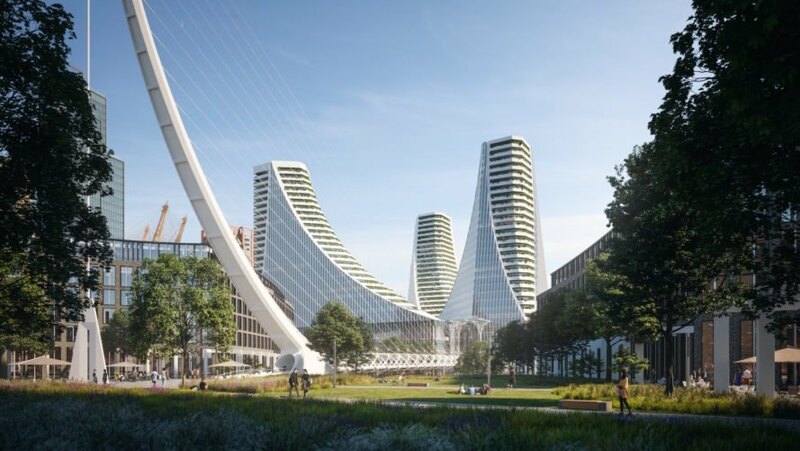 Starchitect Santiago Calatrava unveiled spectacular designs for a £1 billion glass landmark in London’s emerging cultural district, Greenwich Peninsula. 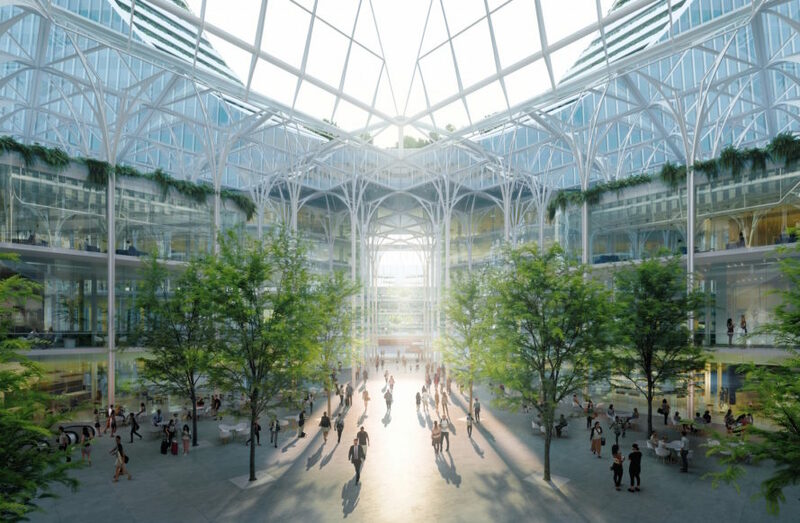 Commissioned by Knight Dragon, the 1.4-million-square-foot mixed-use development is Calatrava’s first design in Britain. The new landmark, called Peninsula Place, will sit at the heart of London’s largest single regeneration project, a £8.4 billion transformation of the Peninsula that will provide over 15,000 new homes in seven new neighborhoods. Calatrava’s Peninsula Place will serve as the gateway to Greenwich Peninsula and become part of the Peninsula Central, a neighborhood that will also be home to two buildings designed by Greenwich Peninsula’s masterplanners Allies & Morrison. Together the neighborhood will offer 800 new homes, a quarter of which will be affordable. Peninsula Place’s lower level will include a new tube and bus station, theater, cinema and performance venue, bars, shops, and a wellbeing hub. Three towers rise above this mixed-use base and will contain office space, apartments, and hotels. A new land bridge will connect Peninsula Place to the Thames River. Sammy Lee of Knight Dragon said: “My ambition is for Greenwich Peninsula to be a unique cultural destination for Londoners and visitors to this global city. Calatrava’s contribution will help ensure that the UK’s biggest regeneration project fulfills its potential to become just that.” Knight Dragon’s plans for Greenwich Peninsula also include central London’s first major film studio, a new design district, schools, office spaces, health services, and public spaces. So it's really a 3 billion pound project. Peninsula Place’s lower level will include a new tube and bus station, theater, cinema and performance venue, bars, shops, and a wellbeing hub. Three towers rise above this mixed-use base and will contain office space, apartments, and hotels. Knight Dragon’s plans for Greenwich Peninsula also include central London’s first major film studio, a new design district, schools, office spaces, health services, and public spaces.